While a number of trends related to healthcare revenue cycle management warrant attention, almost all of them share a common source: the shift from fee-for-service to value-based care. Several variables contribute to the change, including federal regulations and fines, as well as patients choosing higher deductible health insurance plans. The movement will only accelerate as the Quality Payment Program and other measures take effect in 2017. Fortunately, healthcare providers have taken note of the change in direction. They increasingly seek technologies and processes that help them better manage finances and improve outcomes, both their own and those of patients. It might seem odd to cite technology as a trend. Most businesses and organizations boarded the “digital transformation” wagon a few years ago. However, healthcare entities have oftentimes encountered a greater number of obstacles when it comes to embracing digital tools. Switching from paper records to electronic ones simply can’t happen overnight. In addition, many healthcare organizations face outdated infrastructures that require extensive overhauls prior to launching digital solutions. Existing and new regulations also limit their choice of technology vendors, as does their need for platforms that integrate a variety of functions. They require solutions that dovetail items like payments, claims submissions, patient documentation, and patient care. Beyond the general trend of technology investments, healthcare organizations desire to reduce waste, particularly in the area of revenue cycle management. This driver arises primarily from the transition to value-based care, as well as declining claims reimbursement rates. With VocalRx, an automated call center solution from best-in-class TCN, medical providers reduce time spent on routine tasks like insurance denial notifications, lab test results notifications, and bill balances. Providers can also reduce needed staff. The percentage varies, but one TCN customer reported a 40 percent reduction in staffing needs. According to a September Black Book Market Research report, nearly 60 percent of surveyed medical providers and 86 percent of surveyed hospitals plan to jettison some revenue cycle management functions. An operation of particular note is resource-intensive medical billing processes; providers and hospitals want to eliminate ones requiring hours of manual data entry or those prone to error. Doing so certainly reduces waste, thereby saving the organizations money. However, the change in behavior holds additional benefits for the top and bottom lines. More accurate and efficient processes lead to better billing of and communication with patients. Reducing waste is all well and good, but it gains more momentum when coupled with increased efficiency. As noted in the previously, medical providers and hospitals wish for more efficient processes. This will allow healthcare organizations to increase the number of claims submitted, decrease the number of rejected claims, and reduce time spent collecting payments. VocalRx enables efficiency through automation. Medical providers and hospitals can automate routine tasks, which includes appointment scheduling and requests for payment. 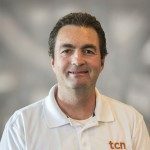 Using only the basic cloud call center, a TCN customer increased revenue collection by 327 percent. Automated solutions offer a way to accomplish the goal. These platforms sift through ever-changing payer rules and codes. Many of them also prevent healthcare fraud and monitor claims for accuracy and compliance. But reducing waste and increasing efficiency alone won’t successfully transform revenue cycle management. The true catalyst lies in the patient experience, especially as healthcare entities adopt the value-based care model and patients embrace high-deductible health plans (HDHPs) to save money on monthly premiums. Besides reducing waste and increasing efficiency, VocalRx offers opportunities to improve the patient experience. The work occurs through automated reminders and self-pay options, as well as nonintrusive requests to answer short surveys. The first customer mentioned, for example, experienced an increase in right party contacts (RPCs) by an overall 188 percent. They also reduced hold times by an overall 56 percent. The two items are essential to good customer satisfaction ratings. Finally, healthcare providers should embrace an analytics mindset. Better and more targeted data fuels their organizations. It keeps them solvent, yes, but it delivers greater efficiency, productivity, and patient loyalty. VocalRx interfaces with most Electronic Health Records (EHR) systems, making it easy to see how improved communication — through automation — affects patient satisfaction and payouts. George Dealy, Vice President of Healthcare Applications for Dimensional Insight, shares his perspective on the trend toward analytics and the need for it with Becker’s Hospital CFO. Healthcare is changing, and with it revenue cycle management. In response, medical providers seek technology solutions that reduce waste, increase efficiency, improve patient satisfaction, and deliver actionable insights. TCN’s call center is one such tool. It merges with EHR systems so as to speed up reporting, decrease unnecessary expenditures, and enhance patient interactions. To learn more about how TCN can trim costs and generate profits, check out our savings calculator.